Preparations are well underway to bring road racing back to Enniskillen after 66 years since the last road race was held in Fermanagh. The Enniskillen 100 was a well-known and prestigious racing event and between 1929 and 1952, seventeen races were held on the six and a quarter mile triangular circuit. In 2012 the Enniskillen 100 at St Angelo was set up as commemorative event with support of the then local council, which moved to championship status the following year. 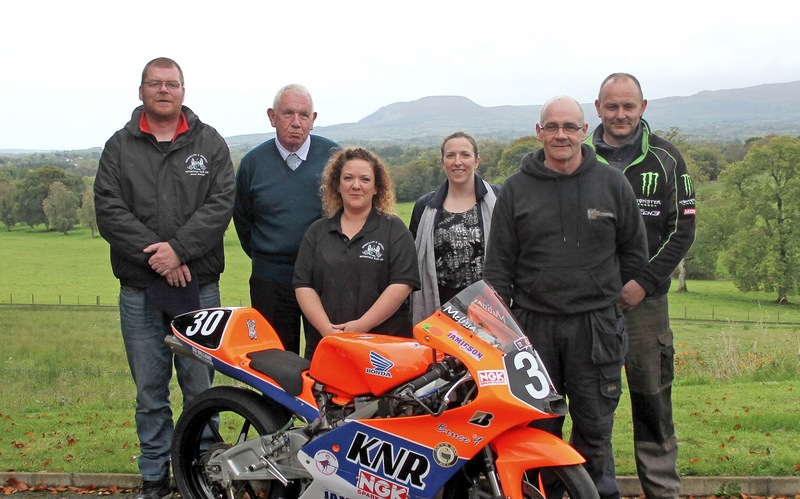 After four successful years of championship racing at St Angelo, which will again be held this weekend, the Enniskillen and District Motorcycle Club (Road Racing) Ltd. have now revealed they have applied to move up a gear and hold a road race in 2018 as well as the current short circuit event. First time spectators this weekend will see for themselves how popular the sport of motorcycle racing is, and how much effort goes in to running such an event. The club have met with senior Council officers about the proposed road race and the benefits it would bring to the area, and their plans were received positively. The club have been asked to provide further information about the finances involved and they look forward to their second meeting. Members of the club have visited residents as well as farmers around the circuit and found the local community to be overwhelmingly supportive. An event of this nature is a massive undertaking and road racing isn’t just a motorsport event, but also an opportunity to bring the whole community together and also will not only showcase how welcoming County Fermanagh can be regardless of what your interests are, but also increase tourism for the area. With many road races through the North and South of Ireland, and with riders, teams and fans prepared to travel any lengths to catch the thrills of road racing, this would introduce a new opportunity to the area as it would be the only road race in the west of Northern Ireland. The proposed circuit itself, settled in the quiet countryside with scenic views of Benaughlin and Cuilcagh mountains, is a 3.1-mile triangle with twists and turns and plenty of areas for viewing spectators. The club have been continuously fundraising for many years and are thankful to the support of all those who have contributed towards funding with special thanks to the Britton family, and encourage more people to visit St. Angelo on Saturday, which will help with raising of funds towards the future road race. There are also sponsorship opportunities available for local businesses and the club are currently actively seeking title sponsors and individual race sponsors. 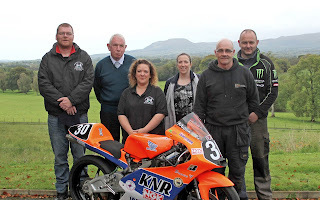 Photo.... L-R Rodney Shaw (Enniskillen & District MCC Road Racing ltd chairperson), Sean Cox, (Cleenish Community Association chairperson), Fiona Ferris (club secretary), Gillian Conlon (club treasurer), Trevor Kennedy (vice chairperson), Gary McBrien (club member & local resident).